Since Egypt’s appearance in the inaugural 1930 World Cup, African countries’ performance in the tournament has been a source of pride and national identity. Starting with the participation of Egypt in the first FIFA World Cup in Uruguay 1930, Africa has had a passionate following for World Cup soccer. Cameroon’s quarterfinal run in 1990 and Senegal’s and Ghana’s in 2002 and 2010, respectively, galvanized an entire continent. Meanwhile, South Africa’s hosting of the FIFA World Cup in 2010 solidified Africa’s place on the world soccer stage. Speaking to the Mexican media outlet, elEconomista, Africa Center researcher and soccer enthusiast Paul Nantulya discussed some challenges and prospects of African soccer. Senegal is one of the best national teams from Africa in the FIFA ranking. What mark has it made on the global map? Senegal, which is making its second appearance at the World Cup, is ranked 27th in the world by FIFA, making it the second best African national team after Tunisia (ranked 21st). Its arrival on the world soccer stage in the 2002 tournament had a far-reaching impact on African politics and culture. They beat France, the defending champions, drew Denmark 1-1, drew then-soccer giant Uruguay 3-3, and beat Sweden to reach the quarterfinals, where they lost to Turkey. In this year’s World Cup, Senegal’s win over Poland in the group stage, and the losses of Egypt, Tunisia, and Morocco, make it a strong African favorite to advance to the knockouts and possibly the quarterfinals. Their performance has galvanized soccer enthusiasts across Africa. Why has Senegal’s success created such enthusiasm? Soccer is an important source of national identity and pride in Africa. Nigeria and Cameroon have each made seven World Cup appearances. Cameroon reached the quarterfinals in 1990, a feat that Ghana achieved in 2010. African professional soccer players have made a tremendous contribution to the global success of revered European teams like Barcelona, Napoli, Real Madrid, Arsenal, Bayern Munich, Bayern Leverkusen, Juventus, and Manchester United, to name a few. All this comes from the fact that soccer is deeply rooted in the popular imagination and culture. It’s no exaggeration to say that most African boys, from the rural areas to the big cities, dream of playing professional soccer. In many countries, watching the first soccer match in a stadium is like a rite of passage. Loyalty to local or regional teams starts at a very early age, and international teams, such as those in the English Premier League, the Bundesliga, and the French, Italian, and Spanish leagues, have a cult-like following in Africa. These loyalties continue into adulthood and are handed down the family. Paying homage to the national team and to teams in the national league is something of a cultural requirement and national obsession. 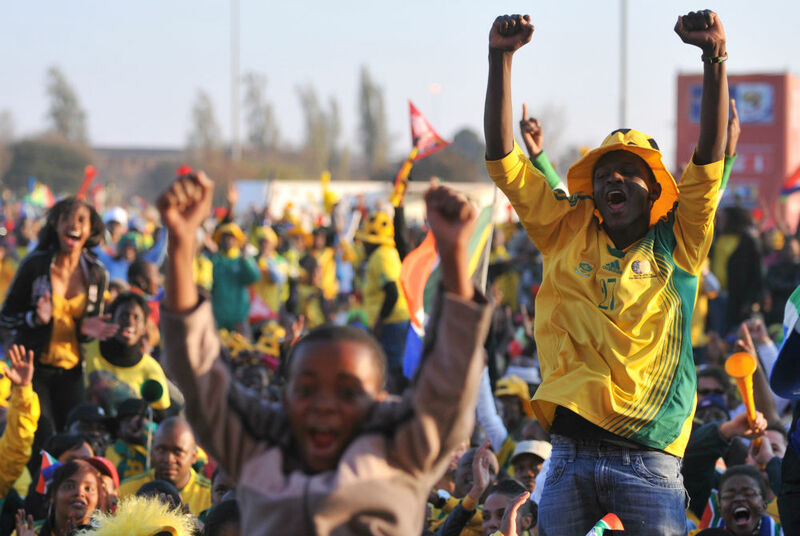 African participation in the World Cup has an affirming quality to it that is central to a sense of national identity. 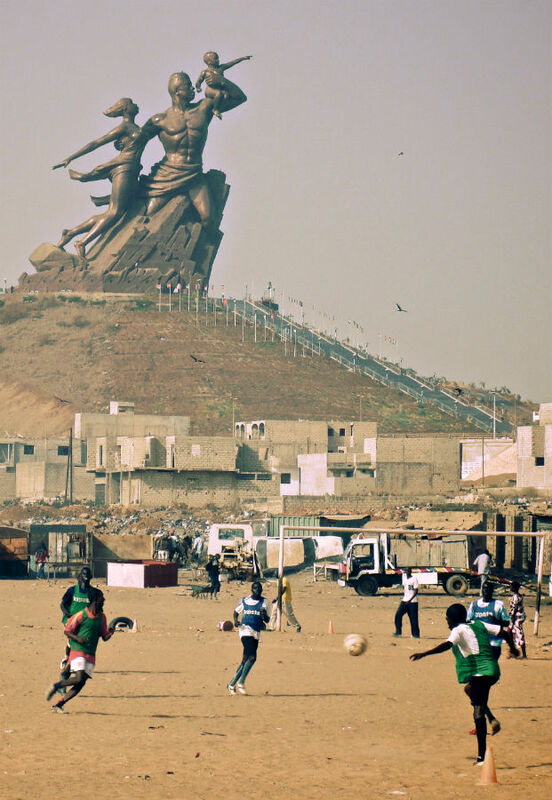 Soccer also forms a crucial part of Senegal’s narratives of Pan-Africanism, which date back to the days of the Senegalese literary giant, Cheik Anta Diop, and Senegal’s founding president, Leopold Sedar Senghor, who was also a poet. Is the collective African identity reflected in World Cup loyalties? At the World Cup, every African team represents the hopes and aspirations of the entire continent. As such, the support for African teams transcends regions. Tunisia, Egypt, and Morocco were cheered on as hard as Nigeria and Senegal, bridging a cultural, and in some respects, racial divide between North Africa and sub-Saharan Africa. Such is the sense of collective pride that the World Cup evokes. It is also noteworthy that African teams tend to enjoy the support of neutral fans in the host country due to the enthusiasm of their fan base. This year, Russian fans have rooted on the African teams, and during the 1994 World Cup in the United States, the Nigerian team had a groundswell of American fans. Such shows of support for African soccer has helped build not just national but continental pride. What should we understand in the history of soccer in Africa? African soccer history is actually quite similar to that of soccer in Latin America. It was introduced to Africa even before it came Brazil. The first recorded soccer game in Africa was in 1862 in South Africa. The first in Brazil was in 1894 in Bangu. There are interesting similarities between African and Brazilian soccer, and by extension the Latin American style, such as an emphasis on dribbling and ball control, free and unscripted play, an obsession with flair, and a heavy focus on attacking. This is distinguished from the traditional European style that prizes defensive and technical play and a heavy emphasis on set-pieces. As in Latin America, African soccer was nationalized at independence to overcome the legacy of racial segregation in sport and build a national identity. Although some undertones of segregation still linger in African sports, soccer has offered a powerful counter as a sport of the marginalized and the poor. Just like in Brazil, where most talent begins in poor neighborhoods as opposed to professional clubs, African soccer is heavily rooted in slums, shantytowns, and semi-rural settings. Most African soccer professionals come from very humble origins. The game was their way out of poverty. On the international stage, the vast majority of Africans see soccer as an opportunity to equalize their relationship with more powerful countries. Senegal’s defeat of its former colonizer, France, in 2002 was a hugely significant moment, not just for Senegal, but for Africa. International soccer is seen as means through which Africans can hold their own against the best. This strengthens the deeply embedded ideologies and images of liberation, and of national achievement. The greatest player of all time, Pele, has on more than one occasion predicted that an African country will win the World Cup. Most Africans would agree. What are some of the ways Senegal’s fans show support for the national team? Senegal’s journeys to the 2002 and 2018 World Cup were accompanied by songs, anthems, poems, and slogans that are now part of the national discourse. Cheers like “Allez les Lions”—“Go Lions”—and the famous hand gestures that resemble a lion clawing are seen whenever the national side competes. Right now, the country’s national colors of yellow, red, and green blanket the capital Dakar and the stands in Russia. The Place du Souvenir Africain is a national exhibit in Dakar that highlights the achievements of Africans, including Nelson Mandela. Bruno Metsu, who coached Senegal in 2002 is honored on the Wall of Fame there as well. Former and current players—Papa Bouba Diop, Henri Camara, Kalidou Kulybali, Lamine Gassama, and M’baye Niang, to name a few—have a cult-like status. Senegalese President Macky Sall went to Russia to attend its match against Poland. Like other African countries, Senegal also frequently pledges hefty cash rewards for success in continental and global tournaments. Cash pledges are not without their problems, though. At the 2014 World Cup, Ghana’s players boycotted training until the government’s pledge of $3 million was honored. Cameroon’s players arrived late because of disputes over bonus payments. However, countries like Nigeria, Rwanda, and South Africa are increasingly making serious investments in soccer development beyond ad-hoc cash offers. In recent years, efforts have been made to invest in youth soccer and the domestic league through public and private partnerships. 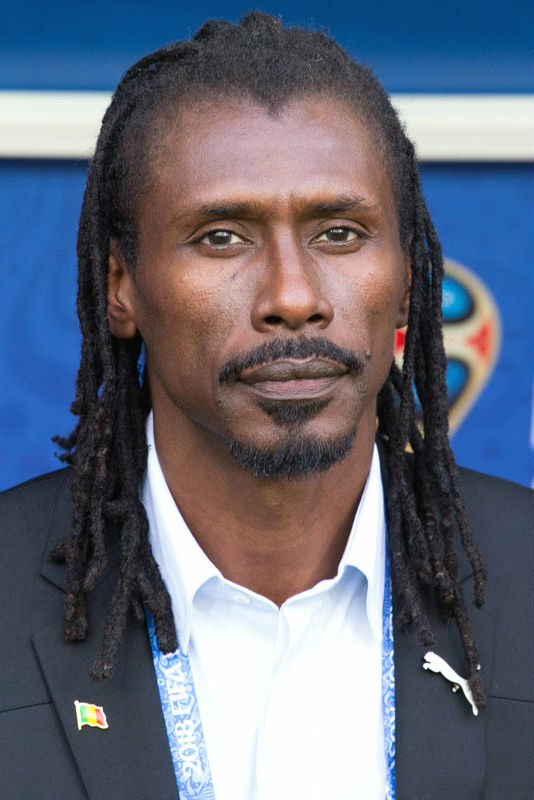 Senegal’s Aliou Cissé is the only black coach in the tournament. Why are there still so few African coaches at the World Cup? While there have been black coaches in the past, most African sides are now coached by Europeans. There are two sides to this. On the one hand, the heavy presence of European and South American coaches and coaching staff on African national teams is seen by Africans as an indication that African soccer is taken seriously. Secondly, many aspiring soccer professionals view foreign coaches as a window of opportunity to play at the international level. On the other hand, however, the small number of African coaches speaks to a larger problem affecting African soccer. Since the 1990s, the vast majority of African soccer greats have migrated to Europe. More than half of the players that play in the African Cup of Nations are from the French league—a whopping statistic. Many of the rest come from German, Spanish, and Italian leagues, while a growing number come from Latin American leagues, including Mexico’s Liga MX. In Nigeria’s current squad, only two players are from African leagues. In Senegal’s, only one is. Despite the deep, raw talent that exists on the continent, there has been a general failure in nurturing and developing soccer at the local level. Players from Latin American countries also play in Europe, but they are a small proportion of their national teams, which is where the heart of their talent remains. Between 1930 and 1986, Brazil’s and Mexico’s teams were made up exclusively by players from their domestic leagues. Today, Mexico’s side has more domestic players than Brazil’s, and both leagues hold sway over the composition of their national sides. African teams, by contrast, are almost totally dependent on foreign-based talent, and these players are not controlled by their parent local teams. So while the national teams may be star-studded, individual players do not always gel because they do not spend enough time as a team. Secondly, local talent is often overlooked as countries prefer to field players with experience on the international stage. As a result, the impact of the local leagues on national team culture, tactical methods, and morale is miniscule. Is there an intersection of soccer and stability? It is no coincidence that the most stable countries produce the most stable leagues and consistently high performance at the international level. Senegal, Ghana, Cameroon, and Nigeria have not experienced the devastating civil wars that have affected many other countries. Egypt was a star performer in all editions of the African Cup of Nations, and the Egyptian Premier League was one of the most successful and sought-after domestic leagues in Africa. However, political turmoil and social unrest in recent years has had a negative impact on Egyptian soccer and this has made its domestic league less competitive and hampered its international prospects. The performance of the national team on the international stage also has a direct impact on the national mood, particularly during times of economic hardship or political tension. In Senegal, the population is counting on a good performance at the World Cup to lift the gloom that has settled owing to economic difficulties, the killing of a college student during protests over austerity measures, and heightened divisions over next year’s presidential elections.